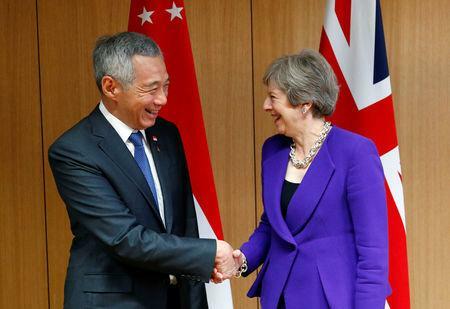 LONDON (Reuters) - Singapore and Britain can do a trade deal after Brexit, Prime Minister Lee Hsien Loong said on Friday, adding that he would be prepared to extend the terms of the Asian country's recently agreed deal with the European Union to the UK. 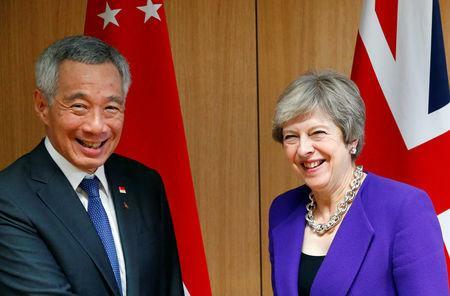 "We hope we will be able to continue arrangements with Britain whether or not it is inside the EU... And then we have time to work some better long-term arrangements over time," he told BBC radio, adding that he had discussed such an arrangement with his British counterpart Theresa May. "We talked about these possibilities, I think it can be done."